Overshadowed by its much larger and more famous surfing neighbour, Australia, the Kiwi's have fought hard to put New Zealand on the touring surfers radar. So why is the surf so good here? Well for one thing it has the largest coastline in the world for its landmass, so on any given day the chances of finding a surfable wave are very high. The size of the country allows you to drive from one coast to the other in a few hours, meaning your chancing at getting out there are also very high. 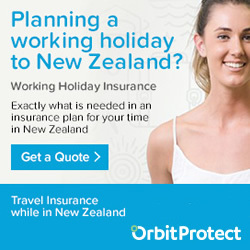 In New Zealand the greenery is plentiful, the wildlife copious and the surf breaks uncrowded. It is the idyllic spot to get away to, explore and also enjoy surfing. People every year come from near and far to enjoy the surf that you can find here. Some of best breaks in New Zealand can be found at Raglan, St Clair, Ahipara, Whangamata Bar, Te Arai and even Papatowai, which is home to some of the biggest waves in the country. Where else in the world can you surf with magnificent views of native forest, snow-capped mountains and much more. New Zealand’s two islands are perfectly positioned to pick up swell from just about anywhere. Waves can be generated from the south, the west from the Tasman Sea, north from the cyclone systems and east from the depressions. Add this to the huge number of great places to surf, relatively few surfers and quality waves makes NZ a perfect place to surf. The beauty of surfing is that the setup is rather easy. You don’t need the fanciest and flashiest equipment out there. You don’t even need to pay to use the beaches, although respect needs to be showed to those who surf the areas daily. All you need is a good board and a wetsuit which if you look after will do you more than justice. • Take a lesson - Getting started for many is the hardest part. It is all good to persist in teaching yourself to surf but when it comes down to it, bite the bullet and get a lesson, you will be more than thankful. 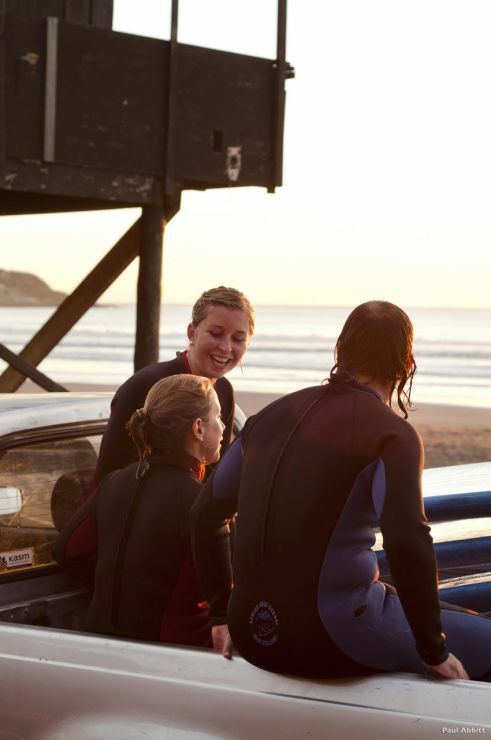 Surf Schools are dotted all around the country and there is no shame in using them. They are well equipped with surfboards, wetsuits and most importantly knowledge. Whilst they do cost, it is a small price to pay to be able to experience the joys of riding a wave. • Be prepared – This means do some research on the beaches/surf areas you are visiting, it pays to know where you are surfing. Respect the sea gods and find out information about the area before you dive into the water. Whilst many may neglect this it is important to know exactly what you are in for. The many beaches that are around house not only good waves but many hidden things such as; reefs, rocks, rips and tidal effects. • Use the correct gear – One of the biggest mistakes when starting out surfing, or surfing in general, can be buying and using gear that is not suitable to you. 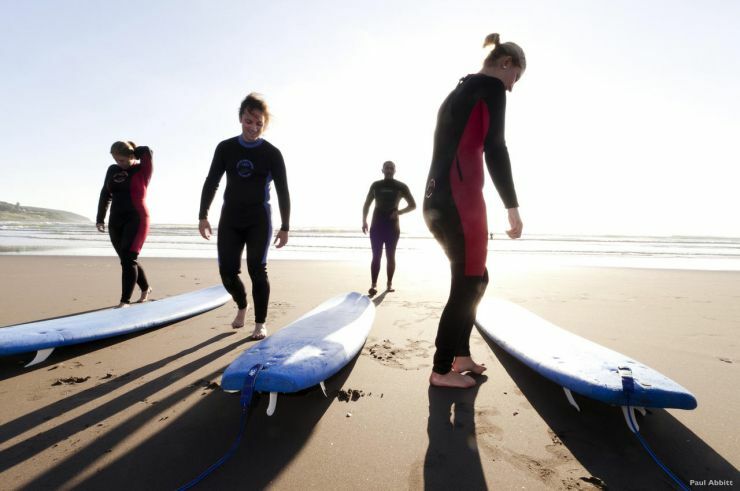 Many shops around the country sell boards and wetsuits but not all of them will have the knowledge you’ll need when buying. A specified surf shop will have experienced staff who will ensure you get the gear right for you. 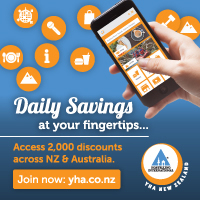 • Visit the local shaper - People have been making boards in New Zealand for decades and there is nothing that compares to the knowledge carried by the shapers. There are loads of boards shipped in from China regularly but nothing compares to a NZ made surfboard from a local shaper. They know not only the area but have been surfing for years and can tailor a board to you. The difference between a good and a great expedition will reflect on the above things. You may choose to ignore these but at the end of the day taking them all into consideration will help you get the best from the experience as you can. Nowhere else in the world will you find such a beautiful country, every twist in the road offers up the potential of a new break. The majority of the enjoyment comes from the journey or ‘the search’ and for those who take the challenge will reap the rewards.